It’s the little things that make the difference between that sweet taste of champagne and finishing somewhere in the back of the pack. Because, face it, every racer wants to win, and most motocross bikes these days are pretty darn good. That’s why you have to bring your best to every moto. 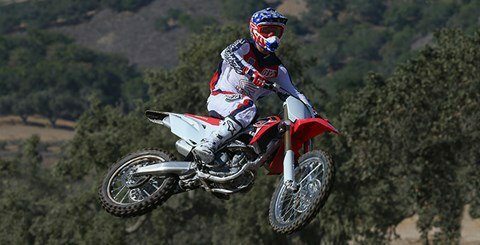 And that’s why Honda is bringing some updates to what was already the best bike in the class, our CRF250R. 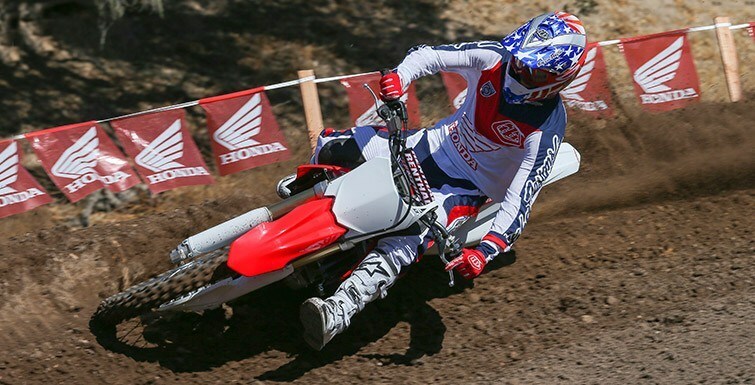 This year's fine-tuning gives the CRF250R what it needs to keep you in front. 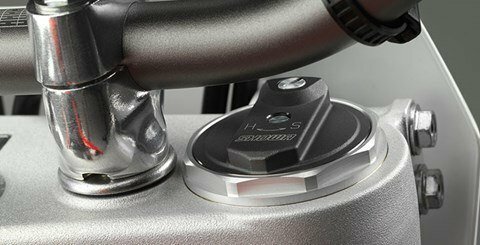 New, larger radiators handle the output from a more powerful engine, which includes more cam lift and new titanium exhaust valves. Larger-diameter muffler pipes and a new resonator also help increase power. In terms of suspension, the Showa® Air Fork is five millimeters longer, and now features a Schrader valve to make adjusting the balance chamber easier. 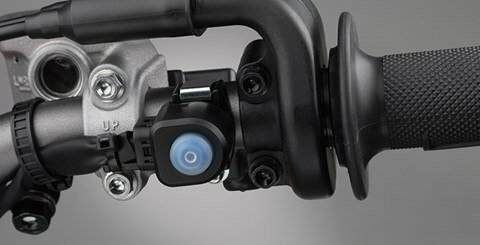 There’s even a new chain-roller diameter—our engineers haven’t missed a thing. 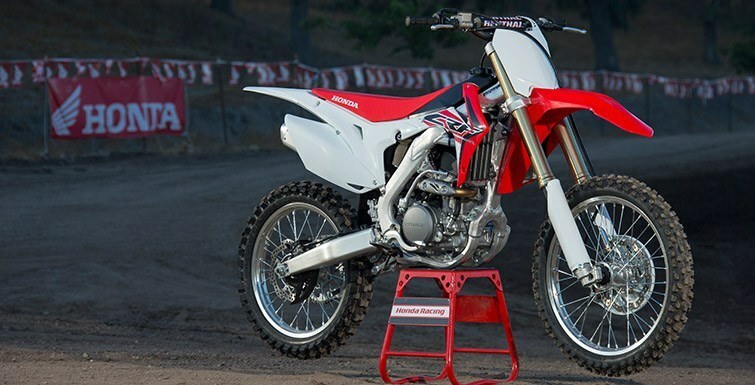 And it’s all with one goal in mind: Giving you the best 250 MX bike there’s ever been. Mission accomplished! LARGE FRONT BRAKE ROTORr: A full 260mm in diameter offers excellent stopping power and also superior lever feel. 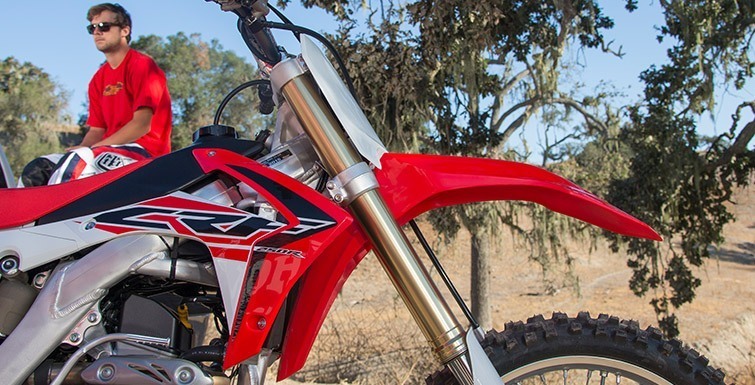 BLACKED-OUT ACCENTS: Blackened radiator fin guards, rear disk guard and brake line guides look sharp and help the CRF250R stand out from the competition. 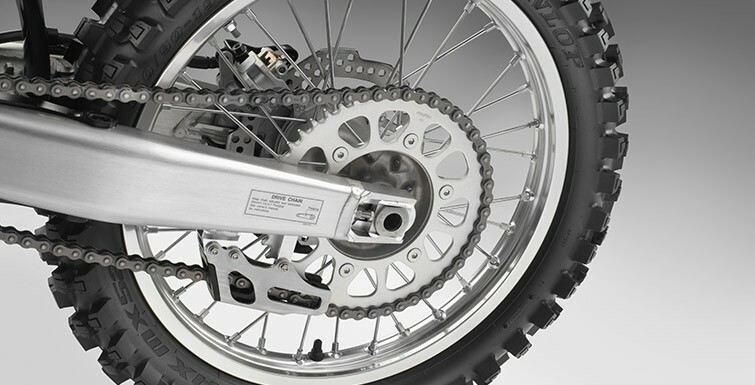 SHOWA® SFF-AIR TAC FORK: The CRF250R’s 49mm inverted Showa® SFF-Air TAC fork weighs less than a conventional-spring design, it’s easier to adjust, and it helps keep the front end planted. This year it’s also five millimeters longer to enhance the bike’s stability. 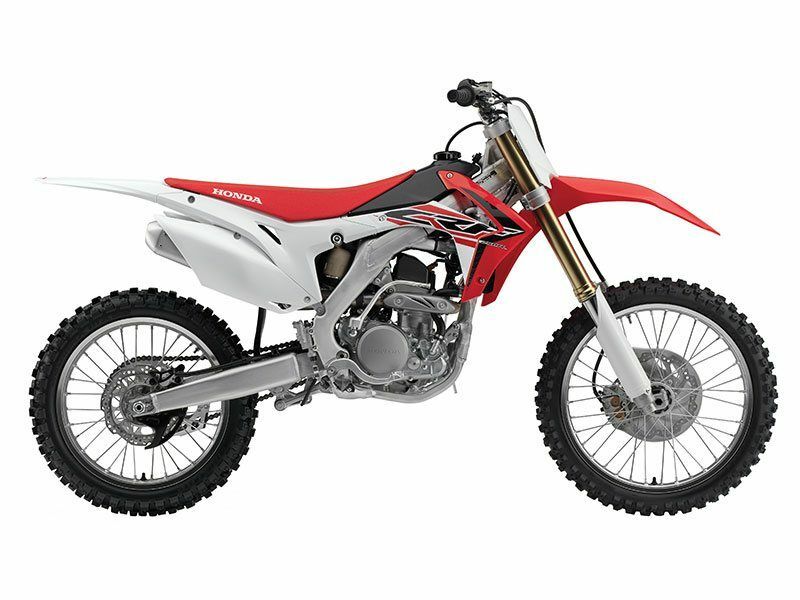 249CC UNICAM ENGINE: With its high-compression head, increased cam lift for 2016, new piston, new con rod, new valve springs and titanium exhaust valves, the CRF250R’s engine produces more power this year. It’s easily the most rideable engine in the class. 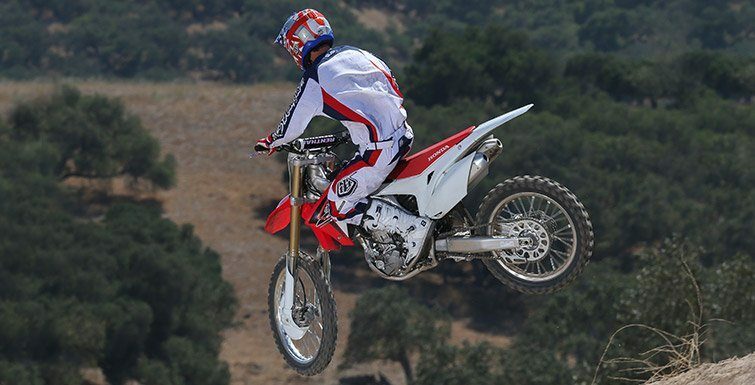 SHORT TWIN-MUFFLER EXHAUST SYSTEM: Like our CRF450R, the CRF250R uses an exclusive twin-muffler setup. The mufflers are way shorter and lower, tucking in much closer to the bike’s center of mass. That helps make the CRF250R a better handling machine, and also contributes to the bike’s improved power. For 2016, the mufflers’ outlet pipes are bigger, too. 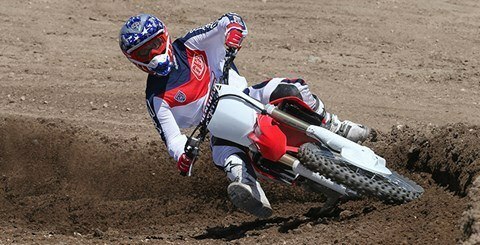 DUNLOP MX52FA TIRES: Developed using Dunlop’s “block-on-block” technology, the unidirectional MX52FA front tire and MX52 rear tire give excellent feedback and traction, and are a perfect complement for the CRF250R’s new suspension.